Made of 100% Polyster winter ski hat with ear flaps. 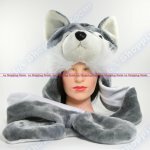 Animal Hat is perfect for animal costumes for Halloween or other occasions. 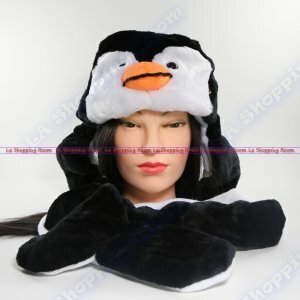 This animal hat features extremely soft material and it is fully lined inside as well for your comfort. You'll love the feeling of comfort and style from top to bottom. 2 layers of insulation to help keep your head and ears warm.